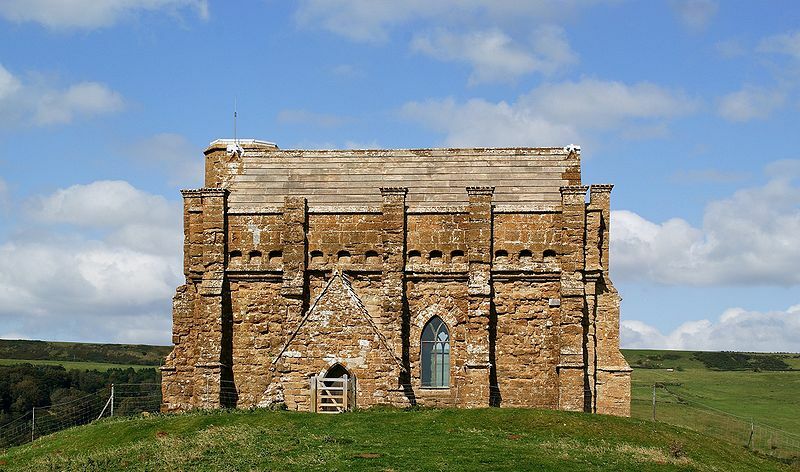 One of my favorite female musical artists, PJ Harvey, once visited St Catherine's Chapel in Abbotsbury, England (she grew up and lived nearby) which has a wonderful acoustic quality and decided to record a song there. The chapel is situated on a hill, as are most chapels to St. Catherine (Katherine) in the West, probably in reference to her shrine on Mount Sinai. It dates to the 13th or 14th century, but it is probably built on the ruins of an earlier Christian church, which was probably built over pagan ruins. Her album Is This Desire? (EMI 1998) has a track "The Wind", inspired by her thoughts about the lonely, forgotten Saint - the chapel no longer functions and St. Catherine was abandoned and removed by the Catholic Church from its official list of Saints in the 1960's because they believed there was no historical credibility to her tale. The song ends in a prayer for a husband for St Catherine to appease her loneliness, a touching reversal of the usual invocation of unmarried girls who go there to pray for a husband. Read about the chapel here and see the video below, which transposes the ancient city of Alexandria with modern New York City, PJ's current home.